I expected that UNESCO would propose itself as the lead agency for the Decade, but this was not even discussed by the Director-General in his meeting with Mr. Pierre Marchand on September 25, 1998. 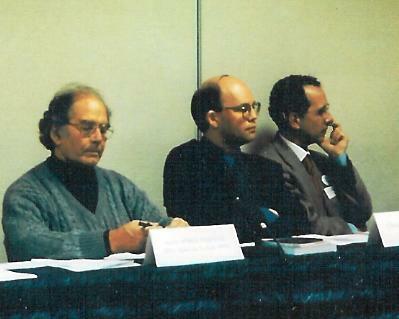 I was quite surprised when, on 31 March 1999 in another meeting with Mr. Marchand, Director-General Mayor responded negatively when Mr Marchand stated that he assumed UNESCO should be the lead agency. In fact, as far as I know, the question of UNESCO's lead role was never dealt with during Mr Mayor's term in office. Although the Director-General replied on 23 July 1999 to a plan of action proposed by Mr Marchand for the Decade, he did not go into detail, but simply requested that it be revised to be consistent with plans already underway for the International Year. These suggestions were not taken into consideration by Mr Marchand, who continued to send out his previous version. In the spring of 2000, after Mayor's departure, I prepared a document concerning the Decade which provided for UNESCO leadership and it was submitted by the new Director-General Matsuura to the 55th General Assembly by way of Secretary-General Kofi Annan. I met with officials of UNICEF during July to further improve it for submission to the General Assembly where it arrived as document A/55/377 dated 12 September 2000. 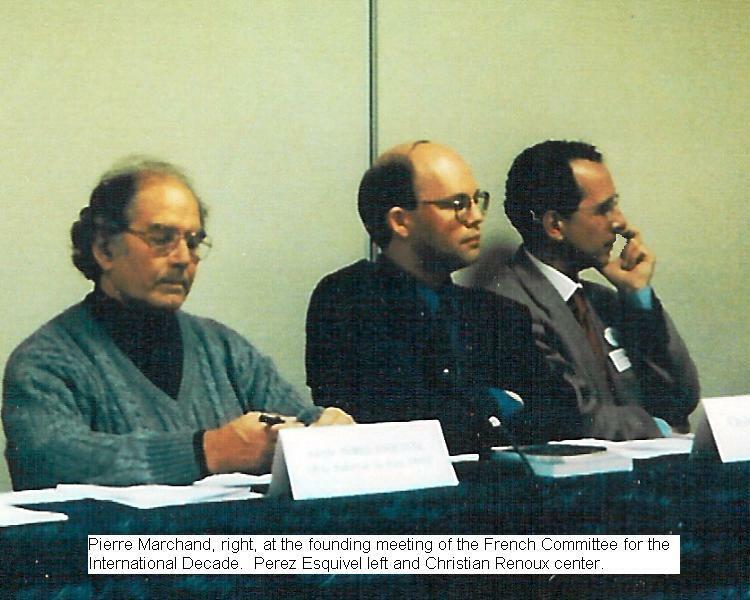 Pierre Marchand, right, at the founding of the French Committee for the Decade. Perez Esquivel left and Christian Renoux center. A substantive approach for the Decade is detailed in document A/55/377 including contents and modalities of education for a culture of peace and non-violence, an approach to promote culture of peace in the mass media, and an organizational strategy for the global movement. And, as we had written in the earlier draft, it proposed UNESCO as the lead agency. A new source of confusion arose when, on 25 July 2000, Mr Marchand sent a letter co-signed with Nobel Peace Laureate Mairead Maguire to Secretary-General Kofi Annan proposing that the United Nations University for Peace, rather than UNESCO, should be designated as the lead agency for the International Decade. He sent copies of this letter to the Nobel Peace Laureates asking them to send letters of support, and then put all of the correspondence onto the Internet where it quickly circulated throughout the world. Eventually, on 29 August, to counter the confusion, UNESCO Director-General Matsuura sent a letter to the Secretary-General confirming UNESCO's commitment and readiness to coordinate the Decade and I sent a corresponding letter to Mr Marchand and Ms Maguire. When the General Assembly took up the issue of the Decade on 2 November 2000, Ambassador Anwarul Chowdhury of Bangladesh once again played a leadership role and a strong resolution for the Decade was adopted on 29 November (A/55/47). UNESCO was designated as lead agency. UNESCO's follow-up was begun with a letter about the Decade from the Director-General 29 December 2000 to all UNESCO National Commissions.